I get it. Obsessing over selfies with Old Faithful in the background or staring down into the bright spot in the palm of your hands while you’re surrounded by nature is, well, kind of a jerk move. If you’re the full-time traveling type who also needs to pull in an income–you know, because the trustafarian heritage just didn’t bless you upon birth–then you may be interested in some of the best national parks in this nation to call home for awhile…but where you can still bank on reliable Internet access. Thus, this little guide has come together to help steer you in just such a direction. What exactly makes for a “best national park for remote workers” though? Well, firstly, plenty of national parks have WiFi available in their visitors centers, or other locations throughout the park. For many of us who waft on down the road, carrying our homes on the backs of four wheels and our careers on the winds of cell service though, relying on public WiFi is rarely an option. We tend to have our own cellular connections, and these aren’t subject to the whims of some downed router or whether or not any given park’s thirty thousand visitors decide to download old episodes of the Gilmore Girls. Thus, the picks here live up to one specific standard: good cell service in the campgrounds themselves. Beyond that, the top contenders also offer electric, though given your particular setup with solar or–gasp!–a generator, you may not be as concerned about such a convenience. If a park has more than one campground that offers good cell service, we’ll give it higher priority. Note that we don’t promise coverage by all of the major carriers–but if you’ve prepared yourself well and have access to Verizon and AT&T, you should be golden. Should a location match up more or less evenly, we’ll use our own personal experience, taste and judgement to determine where they fall in the ranks. Finally, note that we don’t go around checking all of these parks every day, and in some cases rely on third party data. So, give the ranger station a ring first (they’ll probably be annoyed though) or check with Yogi, Smoky or some other bear before banking your paycheck on the details below. 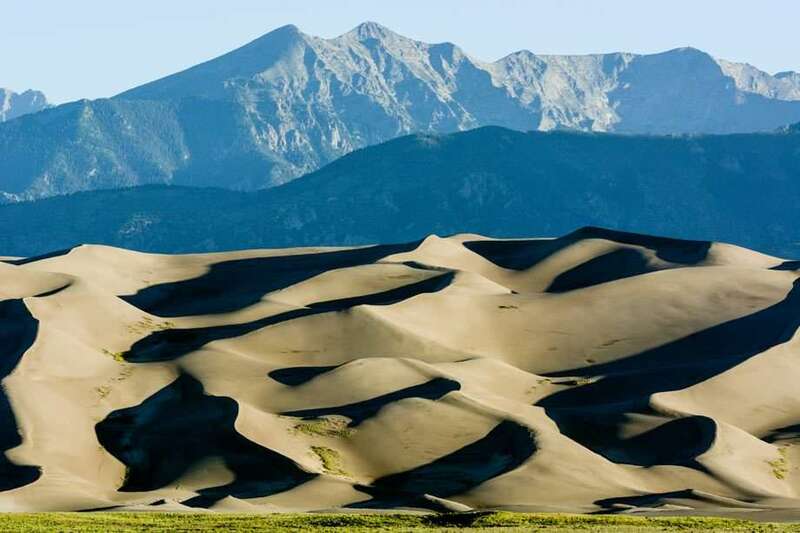 Without further ado, the thirty best national parks for full-time RVers. The following list of parks includes those that not only have good cell service, but also electric. Feel free to graze through these if you’re not the type of traveler who can create their own power, or just aren’t that concerned about having a dedicated plug at your campsite. 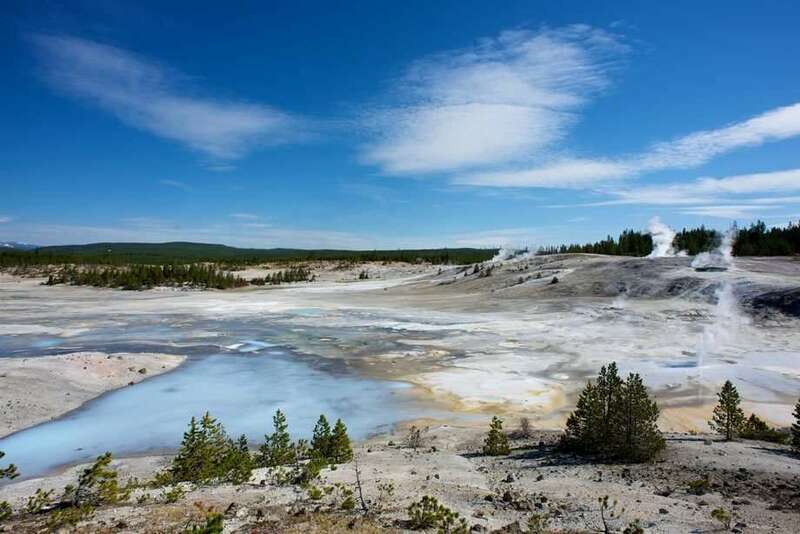 Yes, people love Yellowstone, “First National Park in the World” and all. The thing is, as a remote worker, you can only work in a national park if you can get a spot. And even if you can, there’s only so much cell reception to go around. Thus, Yellowstone comes out at the bottom of the barrel, even if said barrel is full of the cream of the crop. Getting into Fishing Bridge is a bit like snagging front row tickets to Guns N’ Roses in the 2000s, it’s just not likely to happen. Plan early, and realize that though it’s in the national park, “RV Park” applies more than your typical national park campground. 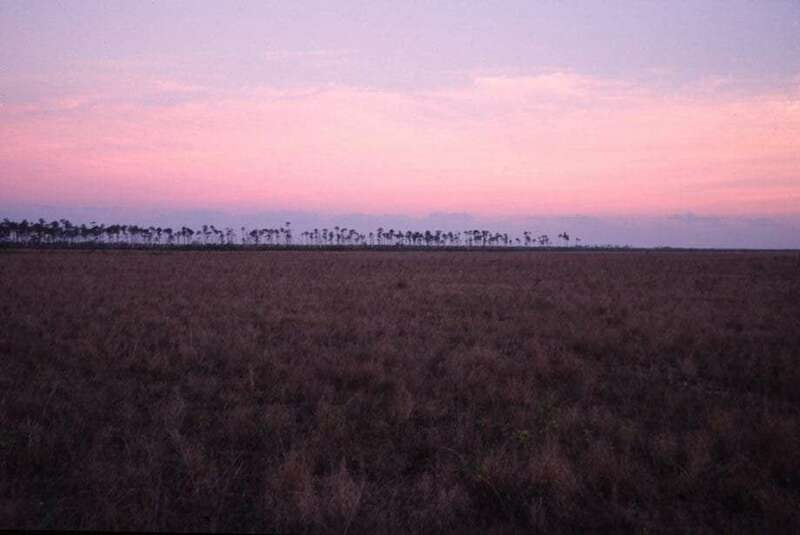 The largest issue with Everglades is simply the almost absolute certainty that you’ll be overwhelmed by mosquitos. Should you possess some inhuman ability to resist these little bastards–and they are worse here than anywhere perhaps in the United States–or manage to avoid them through other means, this is a glorious place full of opportunities to kayak or canoe and see some of the most astounding flora and fauna in the nation. 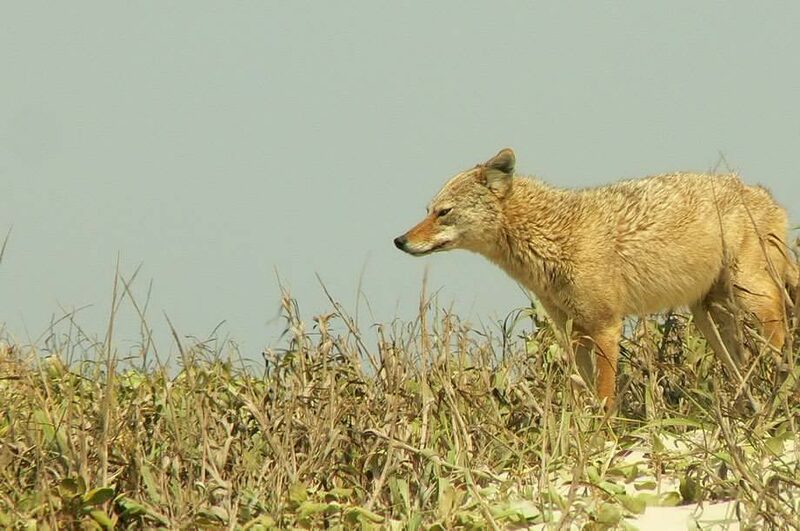 Read more: Curious about camping in Florida? We cover everything from state parks to trailer living via our Guide to RV Camping in the Sunshine State. This was once a key route through the Appalachians, and while we may not see our eastern mountain range as such a barrier today–given our modern means of traversing highways via horse after horsepower beneath our hoods–this little historic park is full of both cell reception and our nation’s history. 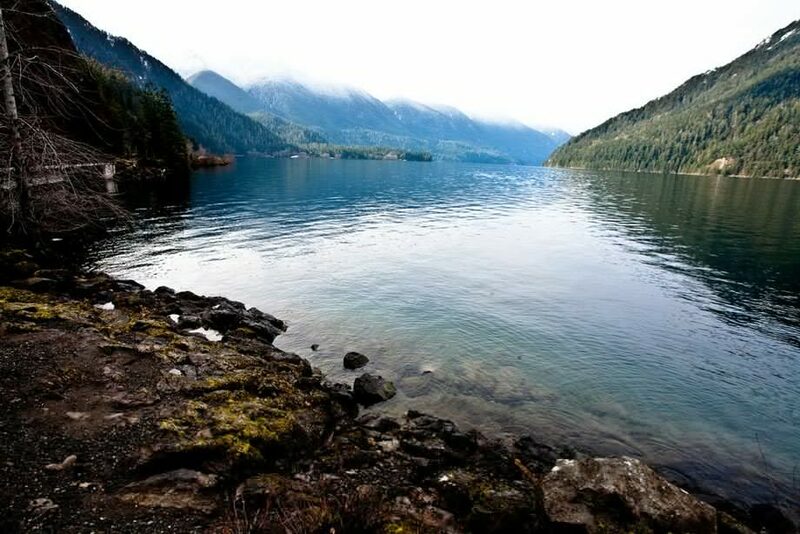 This is a great campground for those who appreciate easy access to hiking trails without any additional driving, and tends to offer shady, somewhat private sites. 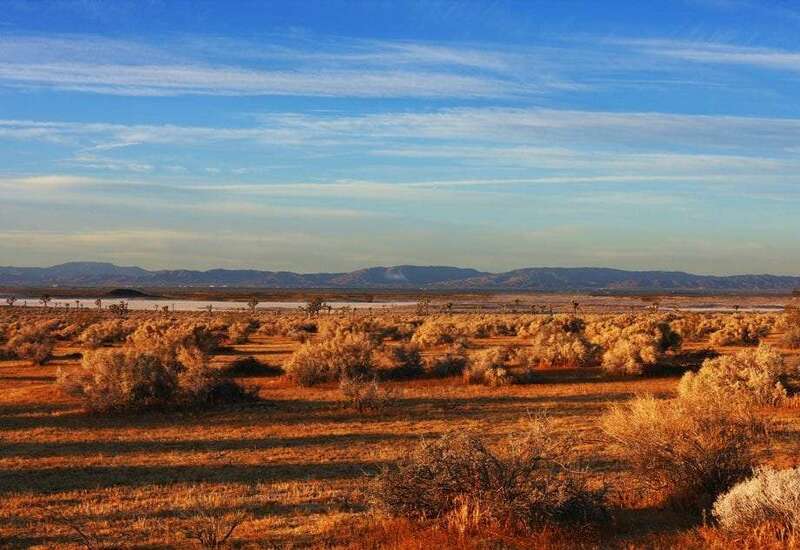 With a smorgasbord of some of the most gorgeous free camping nearby the park, and a campground replete with cell reception to boot, this wonderland of fragile wasteland-always-ready-to-bloom is easily one of the best destinations in these United States. Read more: Care to take a visual tour of the Badlands? Frankly, the Tetons are the most beautiful mountain range in the United States. If you haven’t seen them in person, go there immediately. Note that cell reception at Signal Mountain varies, otherwise, this would be number one on every list ever created. 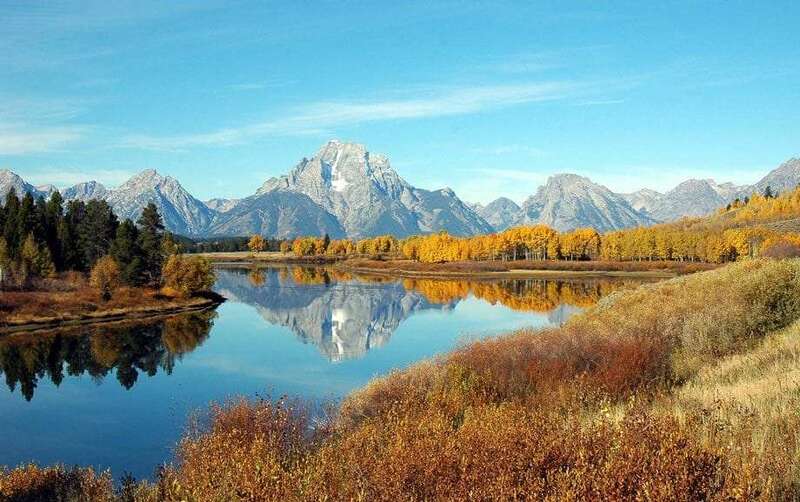 Read more: The Tetons are the absolutely most stunning national park this country has to offer. See for yourself. 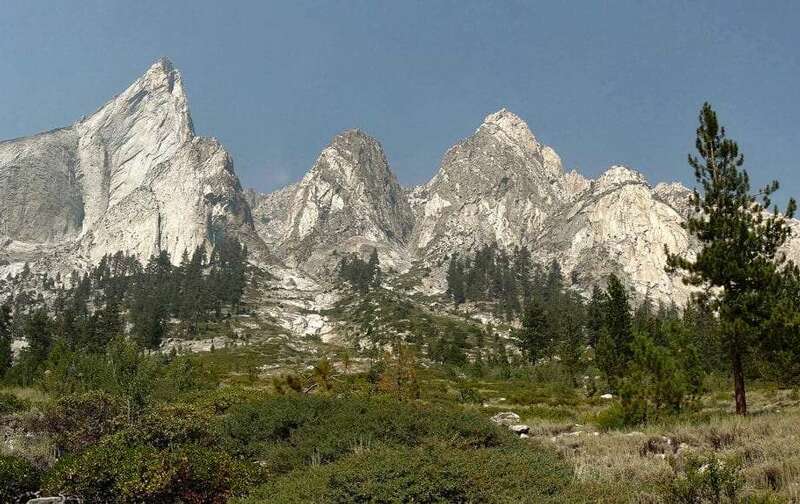 Reports on cell coverage are definitely mixed, so while Grand Teton is certainly one of–if not the absolute–most amazing places you’ll ever see…to say 100% that it’s the best would be a stretch for this particular list. WiFi is available, though, and you can bank on cell coverage being feasible here, if not ideal. If things don’t work out, just tell your boss or clients you’ve come down with a serious case of being in a ridiculously awesome place. One photo of these bad boys sticking out of the verdant landscape surrounding should be enough to convince them that, wherever they are, they need to quit their job and get with the full-time RVing thing themselves. The name is, perhaps, a bit of a misnomer. When this park blooms, it’s a sight magic can rarely reproduce. Even when the park is its usual blend of rugged colorful cliffsides and blowing Sahara-like sands, it’s so full of corners to explore that any traveler interested in seeing something new, different, and perhaps–yes–hard to handle at times, will appreciate this desertscape. Note that there are no electrical hookups at Texas Springs. 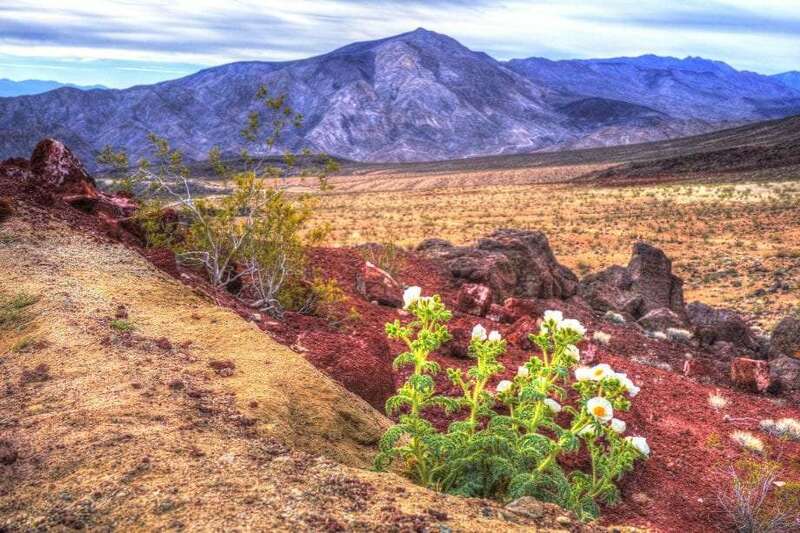 Read more: Death Valley is a great gateway to California’s Eastern Sierras and the truly epic US 395. Zion is named for a holy land and should you choose to spend time in this valley, the chances of you feeling that ethereal goodness are high. While it’s one of the busier places, and finding an open spot–particularly one with electric available–may be difficult if you don’t plan well ahead, the park is a wonderland and it’s hard to imagine a better gateway to Utah’s Mighty Five national parks (and the many monuments and state parks between). This park gets extra points for the easy proximity to Springdale, Utah, where full cell service and a variety of bars and coffee shops will shovel sandfuls of free WiFi your way, should you need it. Note that there are no electrical hookups at South Campground. 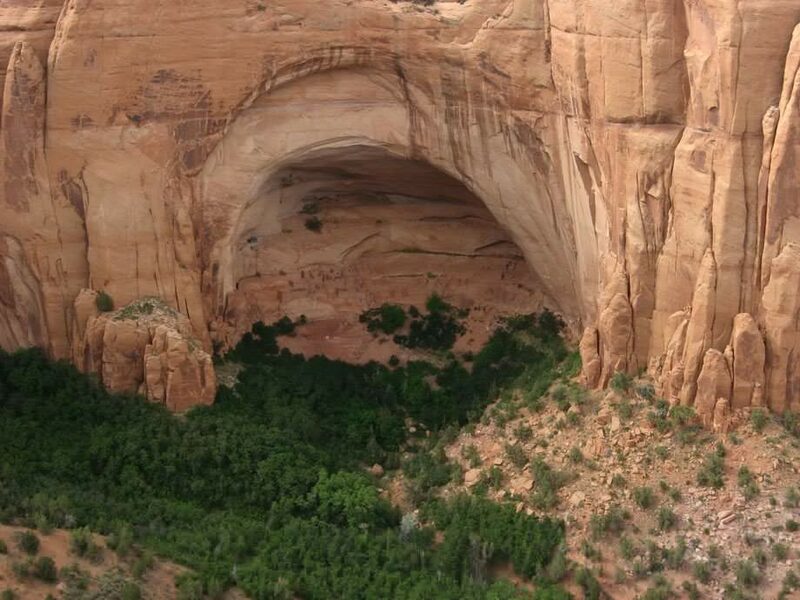 Read more: We cover Zion and nearby Springdale, Utah in this article. 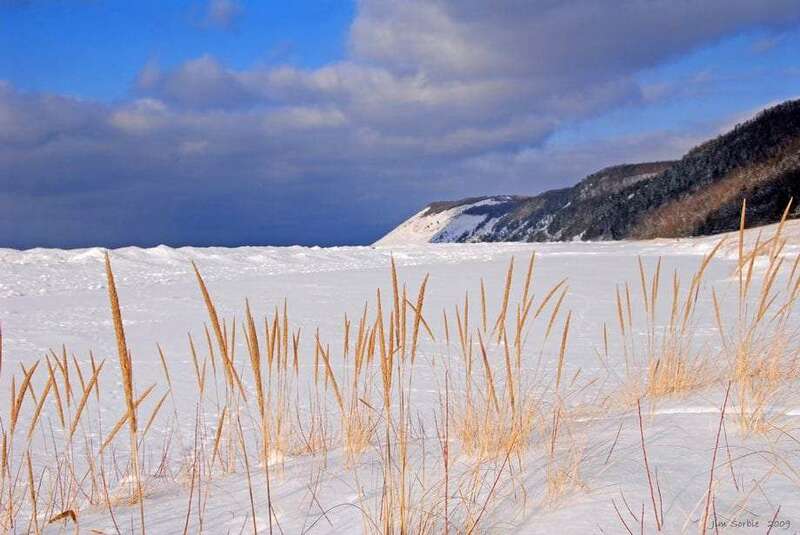 Sweeping dunes–that will leave one desperate for breathe should they make the descent before fully realizing the consequences of the return trip–and Michigan fabulous sunsets make this park an easy add to anyone’s list as they travel through the Great Lakes. 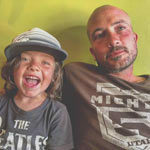 Read more: Care to see a few pictures of when we toured this area with our newborn Winter in our 1978 VW Bus? That is a possibility. 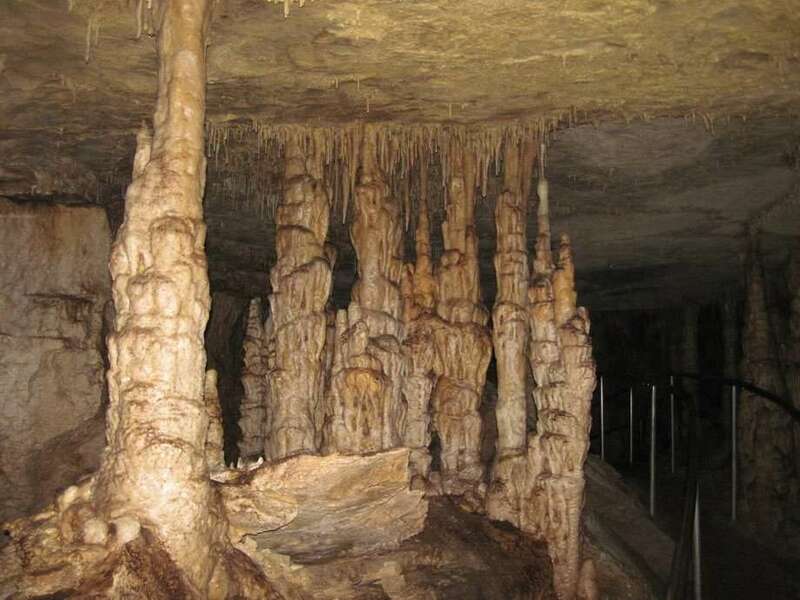 The longest set of caves in the world, and one of the few national parks east of the Mississippi that deserves the name, Mammoth Cave is a sure bet should you be in the Southeast. 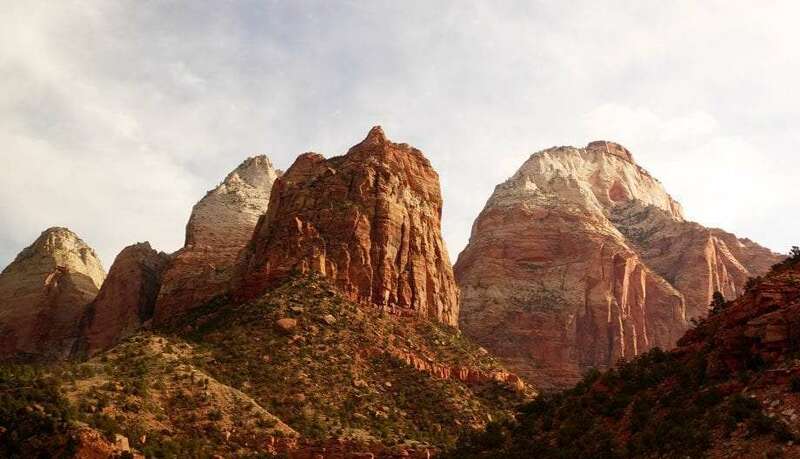 You’ll probably want to snag a reservation for this popular park, and though you can walk to the visitor center from here, our experience is that the earlier you show up the better–like the campground, these tours fill up quickly! 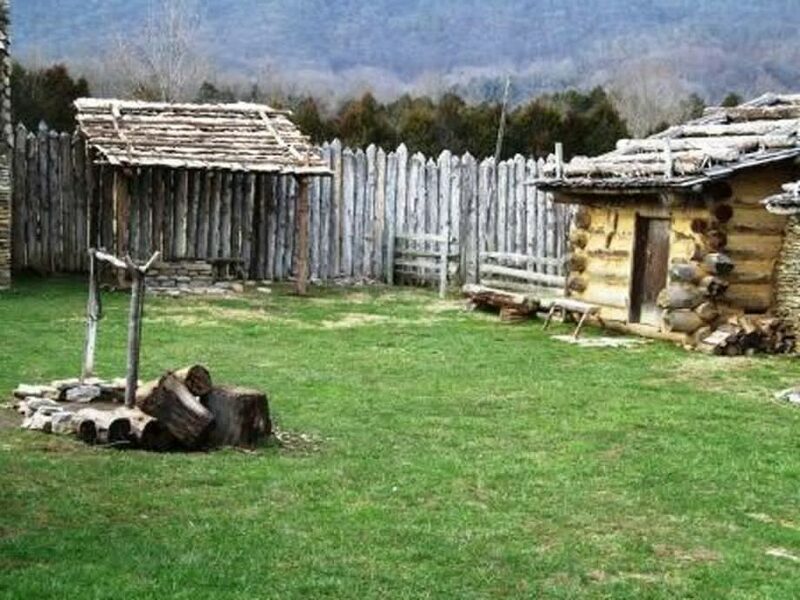 Exploring the peoples who inhabited our nation even before the Native Americans–depending on your classification of such things–and the reality that you should be able to stay connected in a lesser-visited park makes this an easy choice for remote workers and history buffs alike. While the biggest of rigs are going to have a hard time finding a spot here, this is a lovely little campground with ample space for each site. People tend to rave about it for the privacy and black, black starry night skies. With an inclination slightly more red rock–think Arizona and Utah–but still in the great state of Colorado, this is one of those parks that doesn’t see quite as much visitation, and so you may have more of a chance to snag a spot to work for a week or two while you also explore the valleys and bluffs that surround your new home. Reports of wicked fast LTE make this one of the better parks for remote workers. 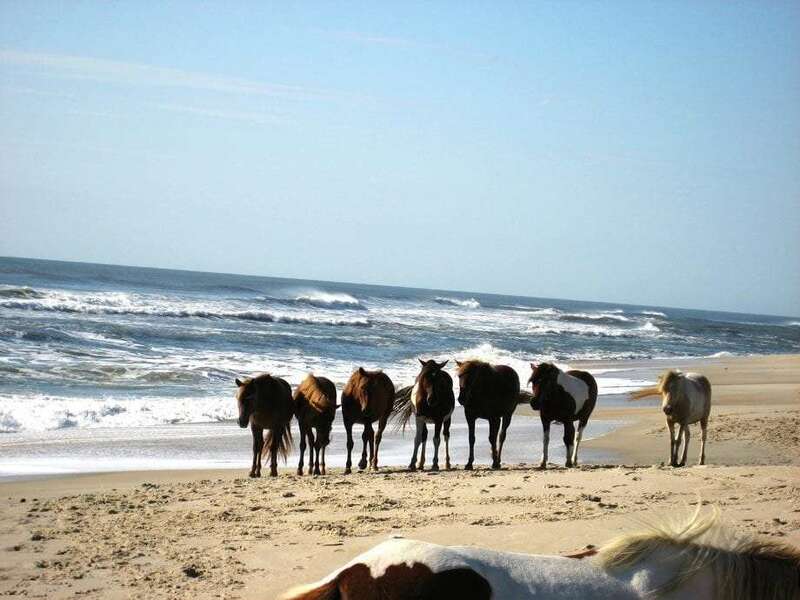 Incredible windswept sandy beaches and a proximity to civilization while still feeling that full on Atlantic Coast vacation vibe, yet in as natural a setting as may be left on said coast, make this a prime spot for those of us who choose to travel and work. That three of its campgrounds offer good cell service–more than any other national park on the list–earns it a spot above a few of the other more traditionally “park” places here. 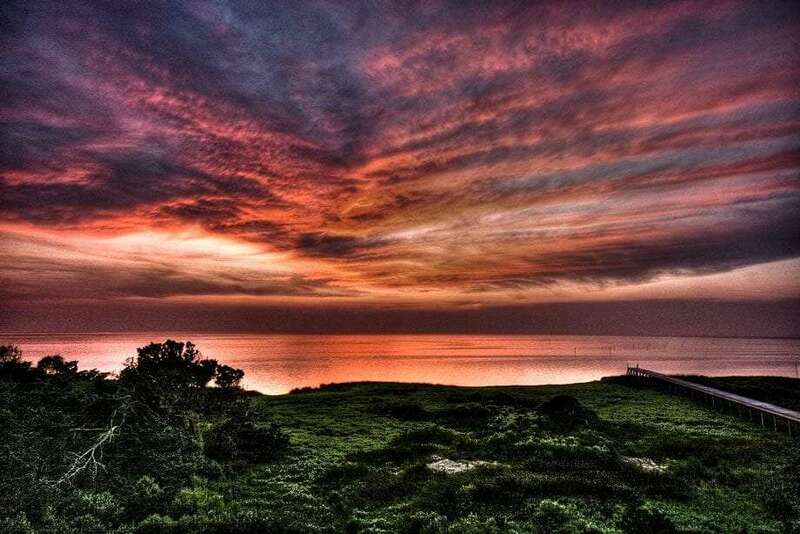 Did we mention this is near the Outer Banks? People love that place! Wild (technically feral) horses will sniff your tires. Please look up from your dayjob while that’s happening. ‘Nuff said. Aside from spacious spots–in our experience anyway–and relative closeness to a variety of attractions in the area, this is simply a lovely little place to call home for awhile. Something about the atmosphere is just chill, and assuming the weather cooperates, it tends to do so tenfold. That it lives in the Great State of Jefferson (look it up) and is surrounded to the west and south by some of California’s greatest offerings…not to mention a bunch of killer lava tubes and other geological features…makes this one of the coolest places to call basecamp even if it didn’t have good cell service in the campground. Spacious spots (if some are a bit close to the campground loops’ main roads) and decent LTE make this a prime locale to get a little work done while still being close to plenty of national park goodness. Not everything’s about massive mountains covered in snow or deadly deserts. Buffalo National River offers an easy chance to cool off in a river and a decent place to work, to boot. Think s’mores and nature trails. You get it. Try not to get wet…oh wait, that’s the point! Reports of exceptional cell service abound. Back to those wilderness deserts. Imagine the wildest, toughest terrain you can imagine, then bump the cell coverage up. You, wide open spaces and whatever you’re looking to download…considering the likelihood you may have it largely to yourself, depending on the time of year. We’re headed here right now! What a gem! Desolation and reception? How amazing?! As long as you don’t end up accidentally snagging a Telcel (Mexican coverage) signal, this park is home to one of the more unusual of nature’s creations, and well out of the way. 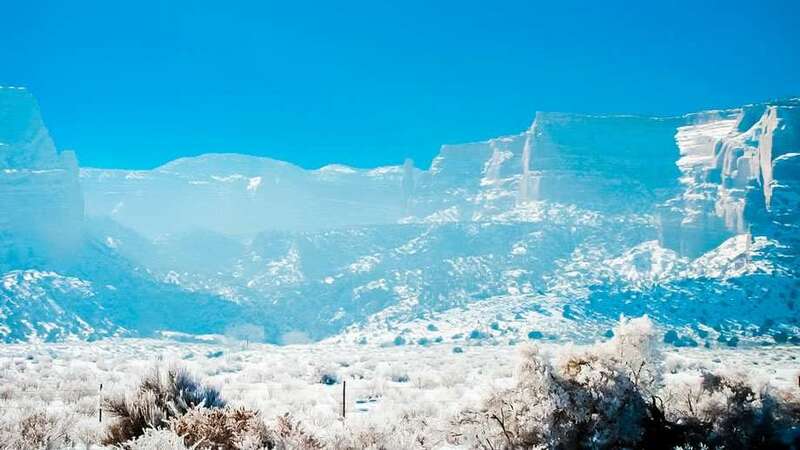 Add to that other nearby parks–though not necessarily “national”–with great coverage and you could hop around this corner of Arizona for winters on end. Some folks love the desert, others don’t. 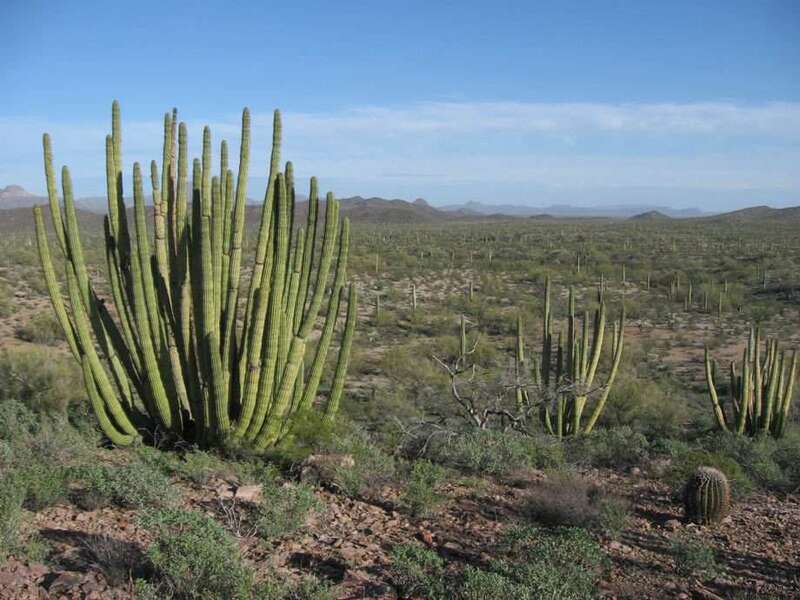 We find the latter group to have little experience in places like Organ Pipe, never having seen what truly exceptional wildlife and flora can be seen in a landscape that–sure–at first sight may seem empty. Some would say this is the least impressive of Southern Utah’s Mighty Five. They may be right, or they may be crazy. That’s for you and Billy Joel to decide. 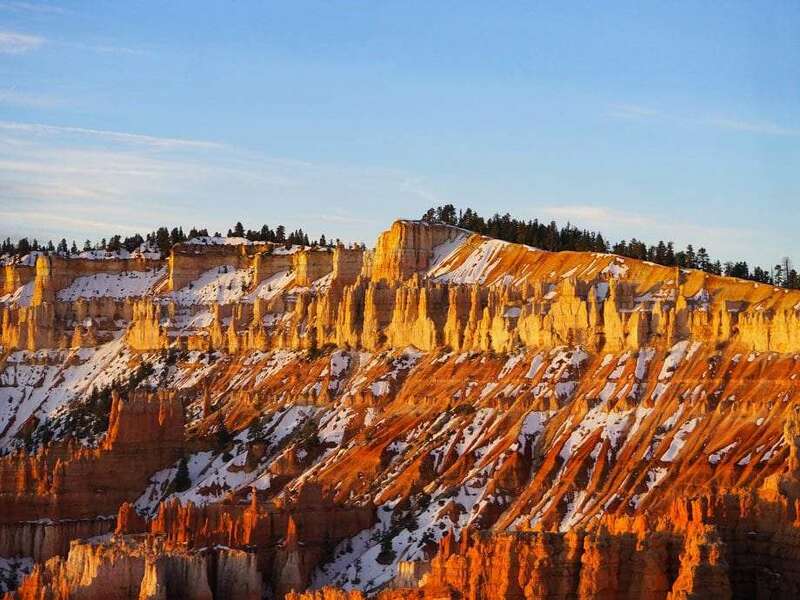 Read more: Bryce Canyon has a magical legend behind it’s hoodoos. Reports of better AT&T 4G coverage are trickling in as well. Take everything you think you know about Colorado, and make it one of those cheesy Sears Portrait backgrounds. Then replace your kids with Sahara-esque dunes. Bam! You’ve got the picture! Gulf Coast vibes with a helluva shiny belt buckle, aside from the campground listed here, endless free camping is available from here north–and south. Enjoy, because you are absolutely welcome. Texas never fails to hold up its end of the “You don’t know me and you don’t know my style” bargain. Okay so this is a rainforest. Its full of the tallest trees on Earth. Its a tragedy and a wonderland all at once. Unfortunately, cell coverage in the campground listed below isn’t always reliable, but should you wager that as time goes on, it’ll only get better, well you’re better off here than in Vegas. Not to mention the Redwoods are another one of those, “If work doesn’t, well, work, I’ve got a great excuse to call it a vacation” spots. Note that reports on cell coverage in Jedediah are extremely varied, so we can only assume coverage is quite spotty. Otherwise, this park would be much higher up the list. 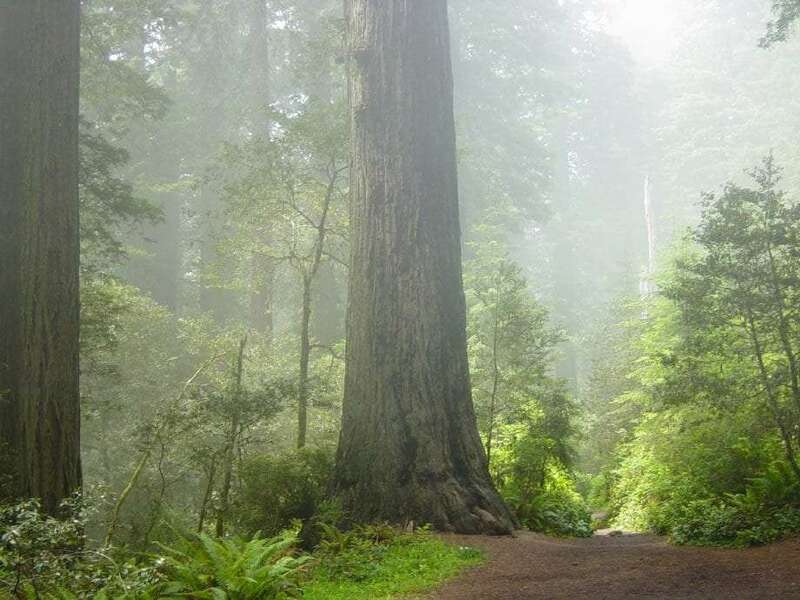 Read more: More on the Redwoods can be found here, or specifically, give the Avenue of the Giants a stroll! Hell, all of US 101 is worth the drive. When God created Jim Henson, he did it from the sands and leaves of Joshua Tree National Park. 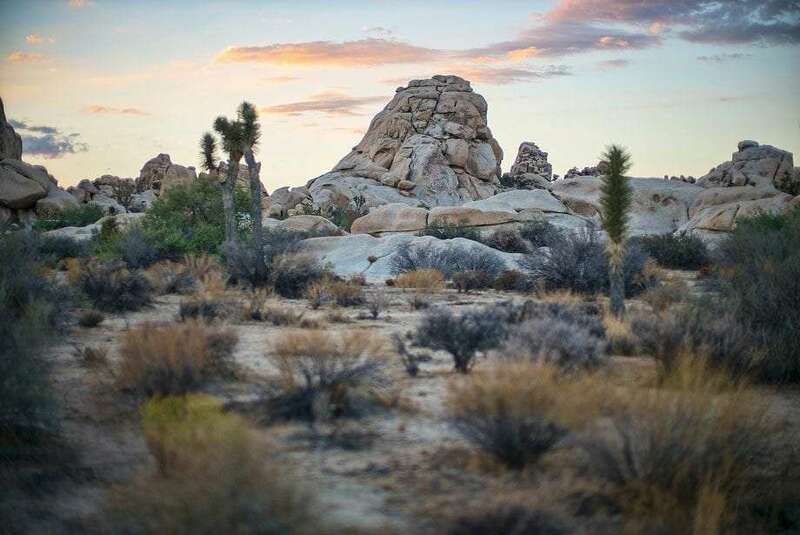 While much of the park is absolutely devoid of service, the westernmost campground doesn’t fail to prove more than adequate, and easy access to the town of Joshua Tree increases your odds of solid downloads even further. Read more: Take a virtual tour of these Joshua Trees! Dammit Jim, this is Neverland not a WiFi hotspot! Bones has never been more wrong. If you don’t get that reference, hit up Washington’s only national park with cell service directly inside the park and start downloading old Star Trek episodes to get the gist. Read more: Experience the Olympic Peninsula through the eyes of master naturalist Matthew Kuhar. This should perhaps be the flagship national park of the United States. 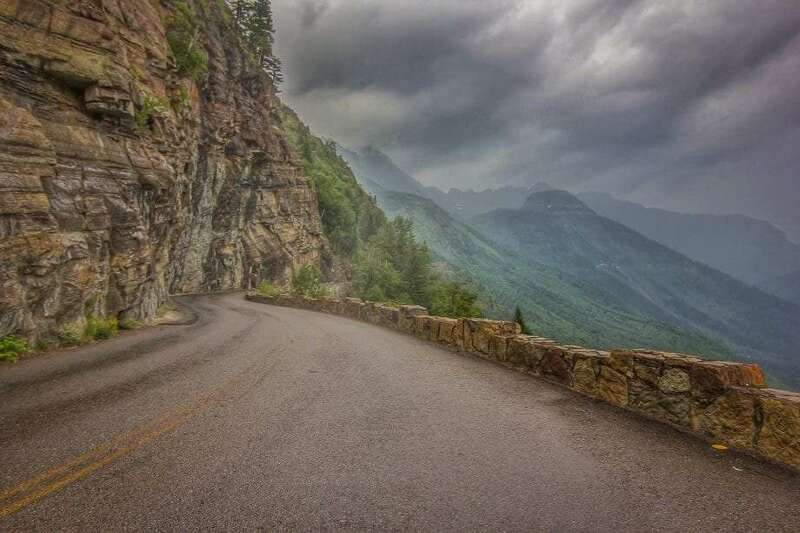 From endless snowcapped mountains to sunsets galore, forest glades to pristine lakes–and a winding sketchy road running through it all–Glacier boasts the quintessential park experience. Read more: Glacier National Park is a wonderland of mountain goats and rivers made from bighorn sheep. Go to the sun, already. California is full of national parks. As previously mentioned, places like Glacier and Joshua Tree tend to be the epitome of their particular landscape, but Kings Canyon? 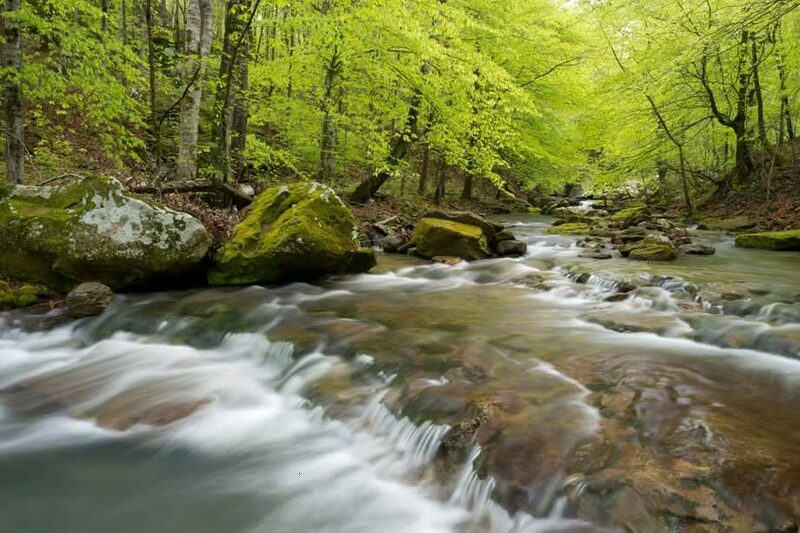 Well, home to some of the largest living things on this planet and less visited than most of the Golden State’s–and the nation’s–parks all told, it’s your chance to find a slice of nature perfect for both a quiet conference call and slow, lonely hike all in the same day. Read more: Get to know the massive Sequoias that own Kings Canyon National Park. Still craving more? Check out our guides to all things national parks via the free handbook. Every national park in the United States that has a campground suitable for RVs, or at least vans. Filters for finding those with cell service, electric and more! Over 200 campgrounds! Every state park in the fifty United States which offers camping suitable for RVs. Info on fees, hookups & more.